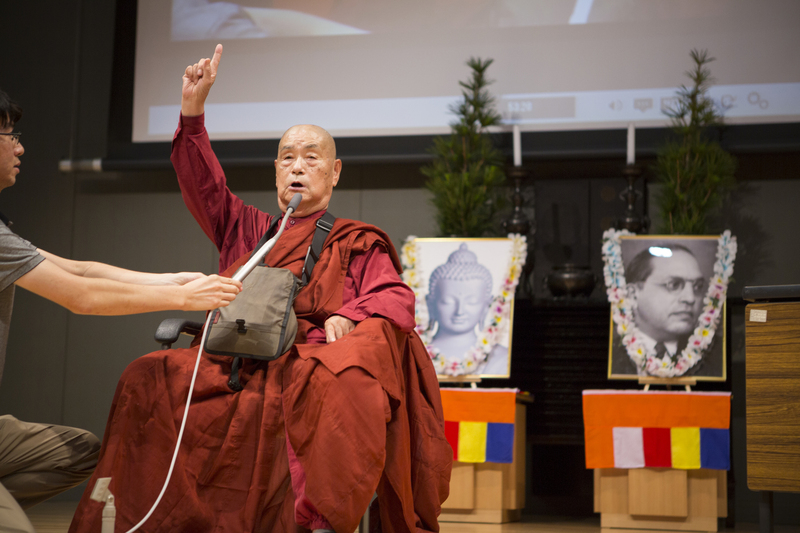 The man standing in front of me, holding a staff and wearing a simple robe, is Surai Sasai, a Japanese Buddhist monk on a lifelong quest for justice in India. In a few moments he will address a large audience about his mission in the South Asian nation, where he has spent most of his adult life. I hear the murmur from the audience waiting in the adjacent lecture hall. The meeting, on a fine June day, is hosted by the famous Shingon sect of esoteric Buddhism, at the sect’s headquarters on Mount Koya in Wakayama Prefecture. Sasai sits down, and I feel a pang of insecurity. Can I ask a man like this anything, without the risk of offending him? In a Kobayashi film from 2009, we see Sasai on stage back in India, speaking to hundreds of Indians in orange robes, preparing them for a mass conversion to Buddhism. “You are about to make some severe vows!” he shouts, holding a microphone. “From now there will be no drinking, no sleeping with women!” The mass of shaved, dark-skinned men in orange seems undeterred and listen calmly. Sasai’s quest in India has many elements of the classic “Hero’s Journey” monomyth: There is the search for the boon (justice and equality), the battle with the dragon (the caste system), the great sacrifice (giving up a comfortable life in Japan) and the sharing of the treasure with the community. Sasai is building his community among the Dalits, a people who have endured unrelenting discrimination for having been born into India’s “untouchable” caste. He claims to have converted 2 million Dalits, giving them a new chance in life. This has made him famous in Indian Buddhist circles. The ill treatment of children is but one of endless examples of routine discrimination against the Dalits. To them, Sasai is a hero. Born in 1935 in the village of Sugao in present-day Niimi, Okayama Prefecture, Sasai had difficulty settling into an ordinary lifestyle. After high school, Sasai started to work as a salesman, selling medicine. “He was what we’d call a furiitā (part-timer) in Japan today,” says Kobayashi. It is a gracious reply to a polite question. But Sasai was not born a saint, and perhaps that is what gives him his humanity. In fact, he has all the hallmarks of a maverick. I see this side to him in a film clip from an earlier visit, when he gets hold of a wooden training sword and starts swinging wildly, in all directions, until he falls over, ending up a kimono-clad heap of laughter on the ground. Or, when we join him in prayer outside the lecture hall, and he all of a sudden starts some sort of cheer-leading, slogan-shouting thing, and all the Indians in hats gathered around him raise their fists in the air and shout back in unison — what exactly, I have no idea, but it sounds like a war cry. Or, when one of his disciples gets too excited and Sasai lashes out at him, in front of us all, “You need to learn how to use Buddha’s language properly!” addressing the poor man as omae, a rather rude form of “you” in Japanese. 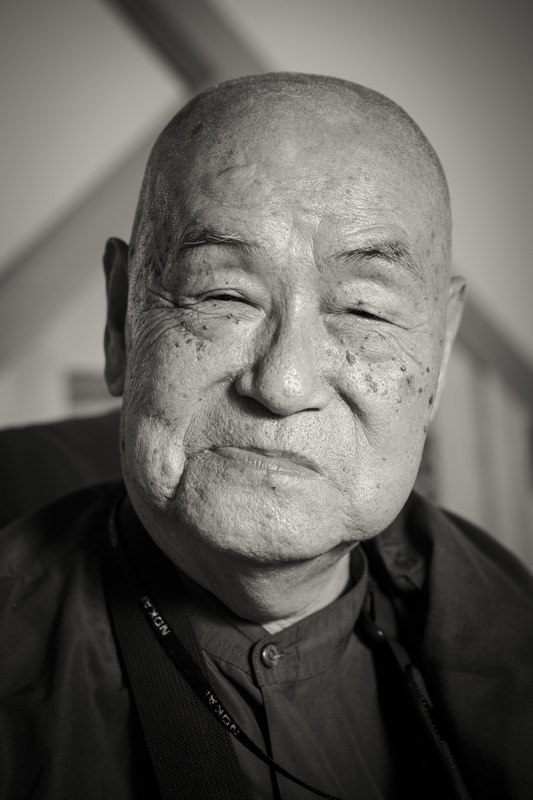 Sasai has hundreds of thousands of disciples in India, where he started his missionary work in 1967. But that success did not come easily. 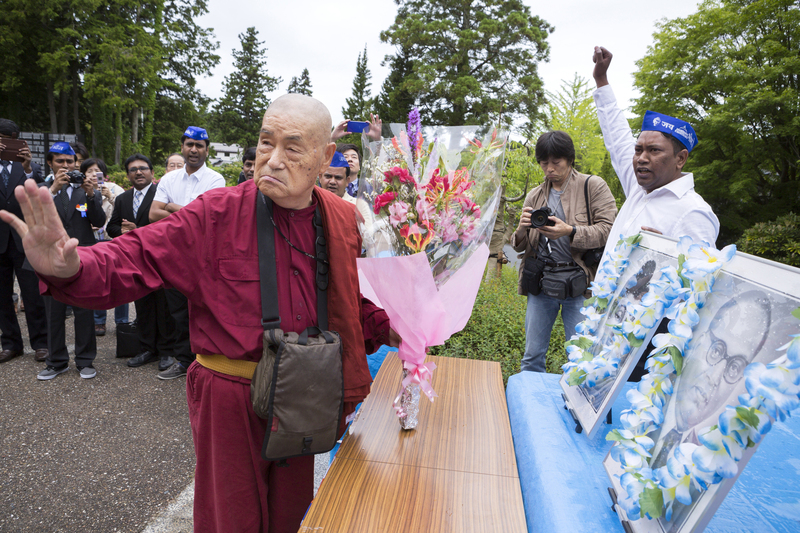 If Sasai has felt betrayed, there is also room in his heart for sympathy. But in spite of this openness, there are also conservative forces at play in India, and the odds against Buddhism breaking the caste system seem formidable. 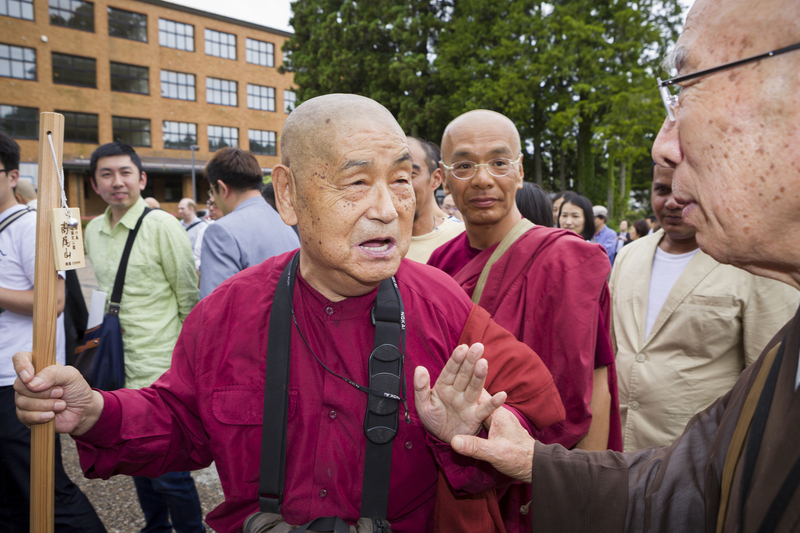 If the original teachings of Buddhism are really more about political reform than religion, as some argue, serious conflict may be brewing. The Buddha himself is said to have been opposed to the caste system, and there is good evidence that in the third century, Emperor Ashoka followed in his footsteps. Ashoka, regarded as one of the greatest of India’s rulers, united the country under Buddhist edicts. Will they also bury Sasai? In fact, they have already tried. In India, it appears his political clout is a double-edged sword. Although the Dalits have historically suffered terrible discrimination, some have managed to escaped their predicament. Bhimrao Ramji Ambedkar, popularly known as Babasaheb, was one of them. An influential social reformer, he became independent India’s first justice minister, helped draft its first constitution and sought to eradicate the injustices of the caste system. Shortly before his death in 1956 he converted to Buddhism and initiated a mass conversion of Dalits to unshackle them from what he saw as Hindu discrimination. This re-energized Buddhism in India after centuries on the brink of extinction. The year after Ambedkar’s mass conversion, Sasai, struggling to find direction, met a Buddhist priest in Yamanashi Prefecture and decided to enter the monkhood. Eventually he was sent to study in Thailand, where further challenges presented themselves — in the form of two women he became infatuated with. 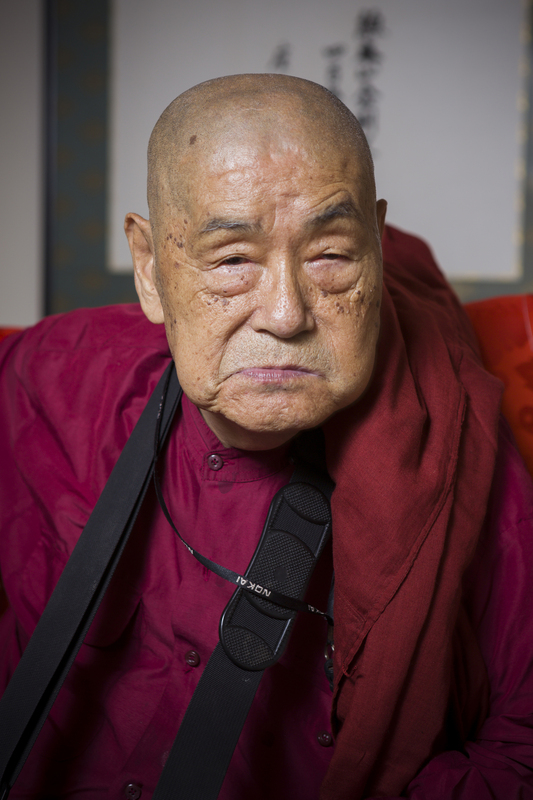 Ashamed of his failure, Sasai decided he could not return home, and instead traveled to India in 1967 to seek the right path. The trip did not go well, and a year later Sasai was ready to give up on India. But then, one night, a man appeared to him in a dream, introducing himself to Sasai as Nagarjuna, an ancient Buddhist philosopher. The man gave him directions to find the Steel Stupa, a sacred site in Buddhism, which seemed to point to the vicinity of the central Indian city of Nagpur. 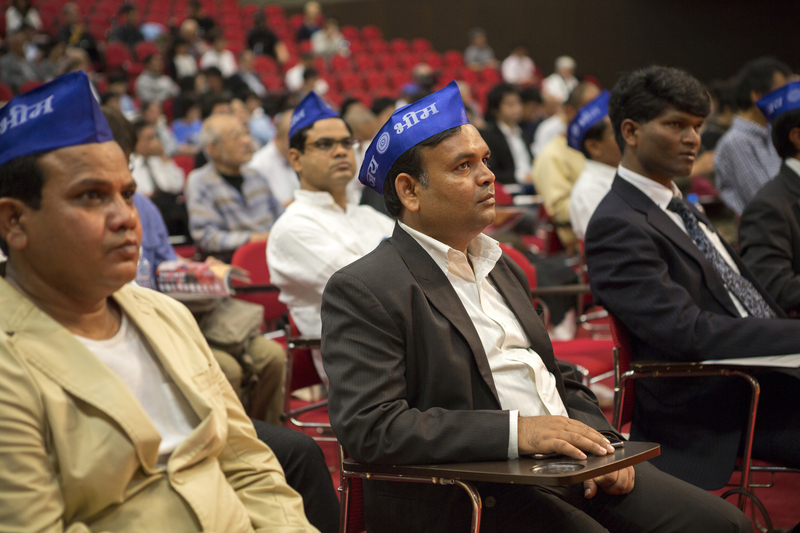 On arrival in Nagpur, Sasai met a man who had organized Ambedkar’s mass conversion ceremony in the city in 1956. Shown a photo of Ambedkar, Sasai became convinced that it was the Dalit intellectual who appeared in the dream in disguise. But somehow, the image of Nagarjuna would not leave him. If you walk through the immense burial grounds on Mount Koya past centuries-old crumbling graves slumbering in the shade of huge, ancient cedar trees, you will end up at a memorial hall called Oku-no-in, one of Japan’s most intensely spiritual places. There, entombed in the basement, is the mummified body of Kukai, the founder of the Shingon sect. 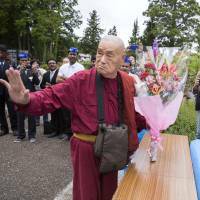 Followers believe he has been in a state of unconscious deep hibernation since 835, waiting for the arrival of the next Buddha. 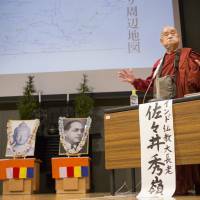 Kukai journeyed to China to bring home a scripture that is at the very core of esoteric Shingon Buddhism — the Mahavairocana Sutra. The sutra had traveled all the way from India, where, according to Shingon teachings, it was received by Nagarjuna several centuries earlier in the Steel Stupa. Kukai, it turns out, was the last in a lineage of eight masters of the sutra across the world. 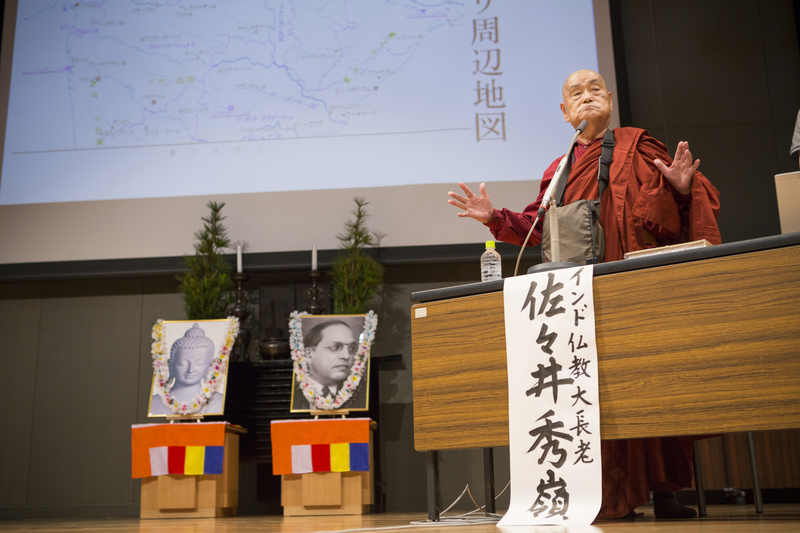 And now, Sasai is here at Mount Koya to talk about the sutra’s place of origin — the Steel Stupa — which he claims he has found at the Mansell ruins, 14 km outside Nagpur. However, Sasai’s claims have had a mixed reception among Japanese scholars so far. 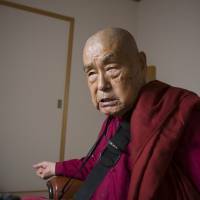 In spite of his success as a religious leader in India, there has been surprisingly little interest in Japan in Sasai’s approach to Buddhism. But why is this? One scene in Kobayashi’s film about Sasai’s 2009 visit to Japan is quite revealing. 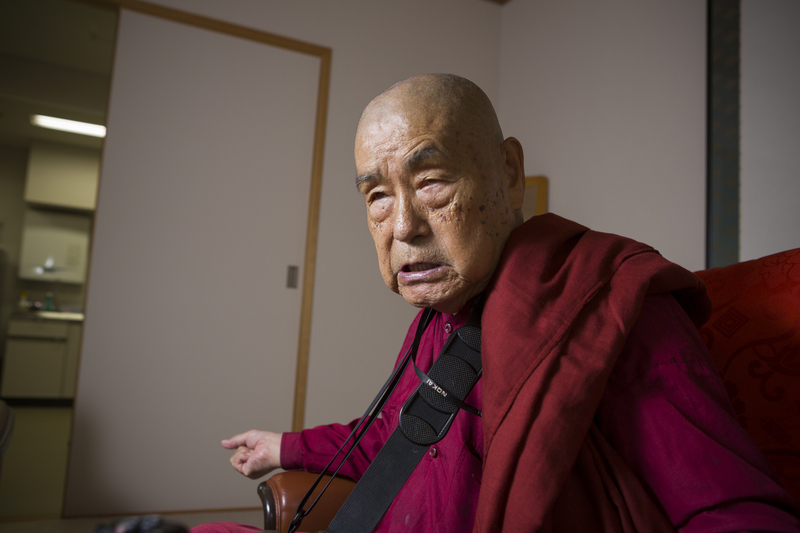 In the documentary, there is a Buddhist meeting, and the monks are gathered to dine, filling the room with cigarette smoke, drinking generously from beer bottles. Apparently unable to accept this behavior, Sasai is eating alone in an adjacent room. Attitudes toward wealth are another source of contention. What does money mean to Sasai? During his 2009 visit, Kobayashi’s camera gives us a glimpse of a man both happy to see the progress of his homeland and alienated by it. At this point, I thought I could trace a hint of sadness in his stony face. 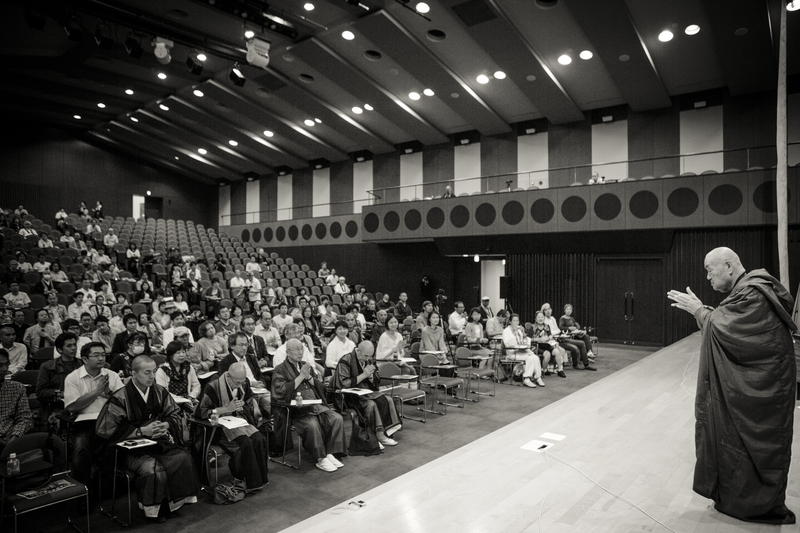 The Indians I spoke to stressed that education is central to the task of making people appreciate the deeper values of Buddhism. Sasai agrees. “India’s history is about to change,” he enthuses. 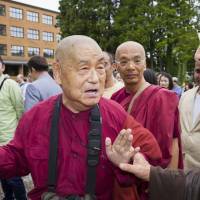 “Buddhism is truly coming back in earnest. It’s nothing less than a revolution! And it’s all thanks to one man — Ambedkar. “I am just a clown, someone who dragged himself out of the p—- and crap and was lucky enough to find meaning in India. But consider Ambedkar’s contributions to the constitution, to equality, to bringing back into the limelight the worldview of the Buddha. Finally, many of the underprivileged in India can live a decent life.